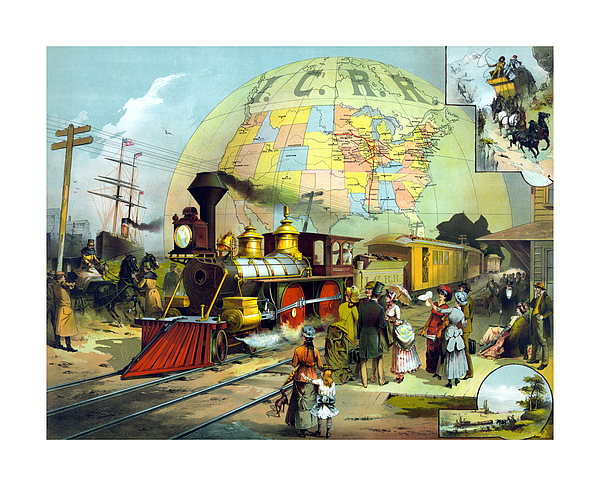 This vintage print features people waiting at a train station as a locomotive train pulls in. 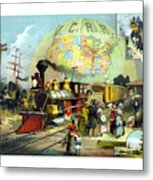 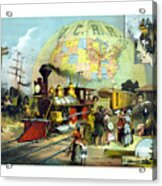 It also features a globe labeled "I.R.C.C." 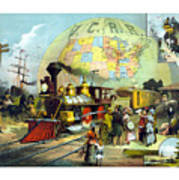 and a map of the United States. 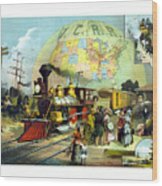 Celebrate American History and the birth of The Transcontinental railroad with this digitally restored vintage poster from The War Is Hell Store.